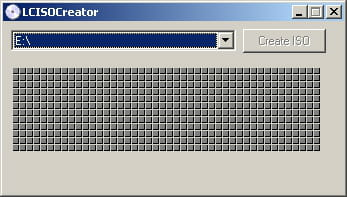 LC ISO Creator is very simple: it allows to create a .ISO file from your CD. Then, it allows you to burn these ISO files, to use CD emulation software (in order not to use any more the original CD) or to make a backup copy. The software is extremely simple. All you have to do is: to select your CD / DVD reader, to click "Create ISO". This software only has 24 KB download and can be brought on USB key without problem. It is a good complement to BurnCDCC. Latest update on June 7, 2018 at 12:22 PM.